Happy Valentine’s day! 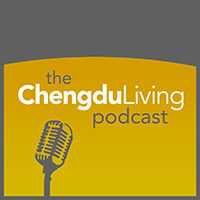 We just recorded a 35-minute podcast about love and dating in China which is available below. 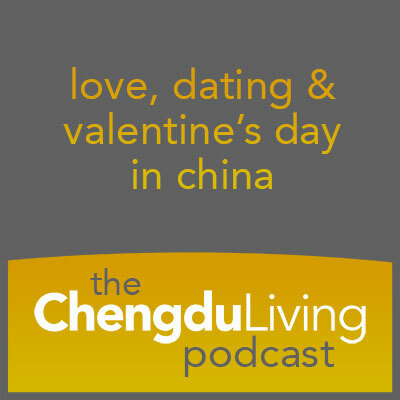 In this episode we talk about how dating works in China, where to meet people, and hear about the tale of an expat American girl’s experience on China’s largest dating show. Where do you meet people in Chengdu? Does being on China’s biggest dating show help your love life? How do dating shows in China work? How does dating work as a single expat in Chengdu? 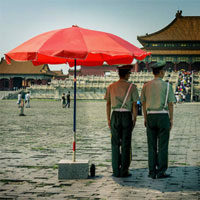 What’s dating in China like compared to being in your home country? How do you get onto China’s biggest dating show, Feichenwurao? How common is plastic surgery in China? What do locals expect of spouses that expats do not? What’s the history of foot binding in China? Watch China’s biggest dating show: ???? Im listenin to this on Vday while playin Dota2.. I could be one of the weirdos heh. Yes. Yes, you could. It seems like this would be a great place to find weirdos like that. Except everyone here is playing League of Legends, not DOTA 2. I only know this because I see everyone playing that game in Chengdu, everywhere. More Lana. The white girl “nookin for nub” in China story is fascinating and I think you could have gone on and on about that. Good stuff. As for guys, I think it would be interesting to see what if anything has changed in the last few years. Still easy to get laid? Same stale old pick up lines and convos? What’s the ratio of brainwashed to not brainwashed? Are there enough foreign girls here to sustain a healthy male population? Why does Lana want a Chinese dude? What strikes your fancy? I think there are many factors which will affect the answer to those questions. Still easy to get laid for some people, still difficult for other people. There are more expats in Chengdu than ever before, clearly, but expat women are still in the small minority. I would estimate something like an 80-20 split between male and female expats here. But foreigners definitely have rare charm here which you wouldn’t have in Beijing or Shanghai due to foreigners still being a pretty rare sight in Chengdu. There was the comment about Hise’s remark “lower your standards”, but the remark can be taken in a more positive light. No matter where you are or what you’re looking for there’s no Mr./Ms. Right. I think the advice is in line with reminding yourself that finding someone requires work on both ends. Anyone who’s been in a relationship short or long, knows from nailing the first date on it takes effort and compromise. Anyone who’s waiting for that optimal opportunity are going to have trouble finding it. Love is like hustling. Like you wouldn’t expect to open a bank account and wait for money to start appearing it. You shouldn’t expect passiveness to earn you a romp with a hot filly or a one night stand to magically become an enduring, fulfilling relationship. Interesting topic. Lana’s story definitely shines and the balance of the discussion is reflected in this. One suggestion: balance the guest speakers levels. The volume disparities on this made it real tough to follow. Interesting episode. Wish it was longer so we could hear the other guys experiences. . although Lana’s was worth the time spent on it. I’ll check out that dating show on Youtube. .didn’t know about it. So it was not clear. . is she hosting that show or a contestant? If she is a contestant. . wouldn’t she only be on one episode? (If it is similar to “blind dating” or other such dating shows from USA.). Search for 非诚勿扰 on Youtube and you will find tons of videos. Lana is a contestant on the show, the host is a Chinese celebrity. The way it works is suitors (men) come onto the show in each episode, introduce themselves, and then female contestants can express interest by illuminating a light. Then it’s basically an elimination process, although often the guys will leave without having made a match. I think the way it works for the female contestants is that they stay on the show until they have a match, at which point they exit the show for good. I met a local girl the old fashioned way; she is a friend of a friend. I am interested in seeing some of Lana’s art work/performance work. I looked at her Weibo “littleladylana”, and it seems to be inactive. Where can I find her work?